the Cyberspace Administration of China. As Internet firms propel Chinese business to the next stage, cyber security must become a top priority to prevent a potential achilles heel for rapid industrial development. 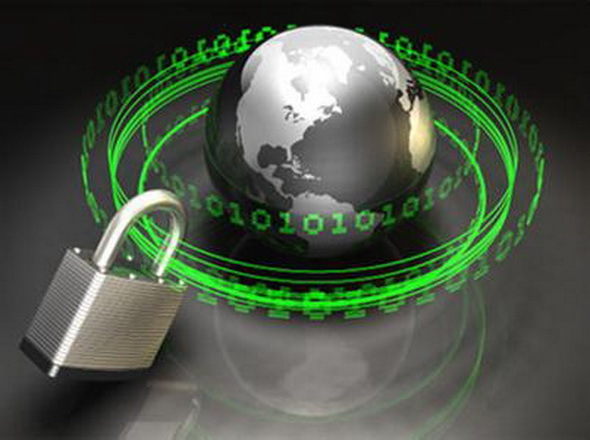 China’s Cyber Security Week, the first event of its kind, began in Beijing on Monday of November 24. Jointly held by top state level departments, including the ministries of industry and information technology, education and public security, the event intends to help the public better understand Internet security risks and enhance their protective skills. Since China connected to World Wide Web in 1994, the Internet has profoundly changed the country’s way of life and business. Meanwhile, Internet security poses great challenges to national security, economy, social stability and public interests. China has the world’s largest number of Internet users but it still lags behind in development of Internet technologies. The country had about 632 million Internet users, half of the country’s population, as of June 2014, with Internet companies’ total market value topping 300 billion U.S. dollars, according to the Cyberspace Administration of China. Four of the world’s top 10 Internet companies by market value are in China: Alibaba, Tencent, Baidu and Jingdong. However, the country is increasingly the victim of Internet hackers and cyber-terrorism, with cases plotted, organized and instigated online, in recent years. Cyber security not only refers to safety of computers, servers and Internet contents nowadays, but it has also extended to Internet finance such as the security of mobile payment. Low public awareness has caused great loss to finance and personal property. Last year, 11.35 million computers in the Chinese mainland were infected by Trojan horse viruses. Nearly 32 percent of 332 million Chinese users of mobile payment have been attacked by phishing and other online scam attempts, with losses increasing four fold in 2014 compared with last year. Public participation is a key trait of Internet era, so safeguarding Internet security requires active public involvement. The weeklong public event will host a series of shows and lectures nationwide to popularize cyber security tips and protective skills, by creating scenarios of computer virus attacks and debit card frauds in which unauthorized purchases are made, cash withdrawn from one’s account, and personal information stolen, at interactive exhibitions. Such events are also common in the West. The European Cyber Security Month has been held every October since 2013. The United States launched a similar program to encourage public participation in 2004. In a message of congratulations sent to the First World Internet Conference held last week in Wuzhen, eastern Zhejiang Province, President Xi Jinping urged better international cooperation, more respect for sovereignty on the Internet and for countries to uphold cyber security following the principle of mutual respect and mutual trust. 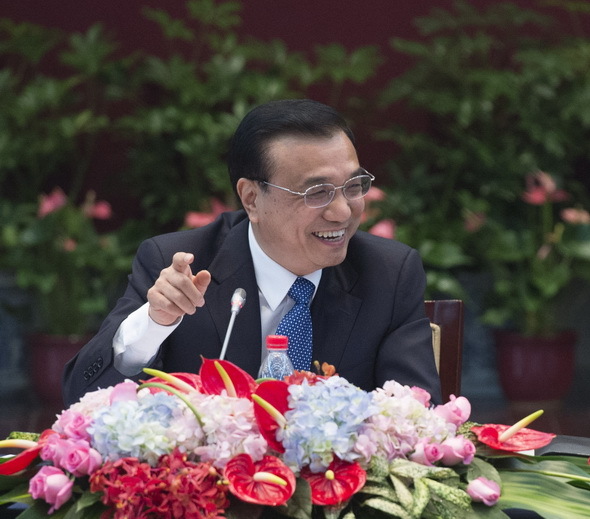 The Chinese government vigorously supports the development of the Internet as a form of market expansion and job creation, Chinese Premier Li Keqiang said on Thursday of November 20. 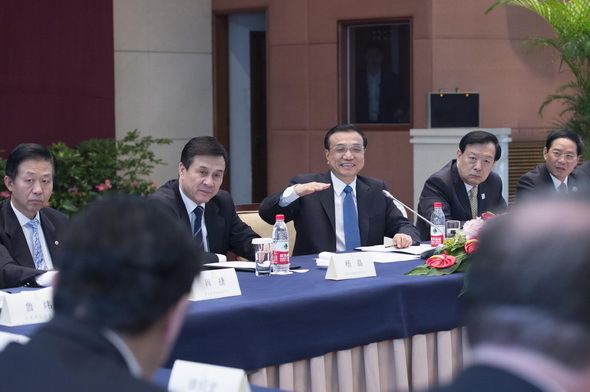 Li made the remarks when meeting with participants of the first world Internet conference in Hangzhou, capital city of east China’s Zhejiang Province. China embraces the Internet and fosters the development of Internet with a market mindset. A majority of more than 10 million companies that registered in China this year are small or micro-sized and many of them are related to the Internet and information technology, said Li. “China will continue improving Internet infrastructure and increase the ratio of people’s access to the Internet,” he said. China is willing to carry out cooperation and exchange with other countries in regards to the Internet and share the opportunities created by the Internet in the spirit of mutual opening-up and respect. The conference saw roughly 1,000 Internet professionals, officials and experts from more than 100 countries and regions in attendance. The head of the non-profit organization that manages the infrastructure of the Internet is committed to listening to and understand the needs of China’s government and people. 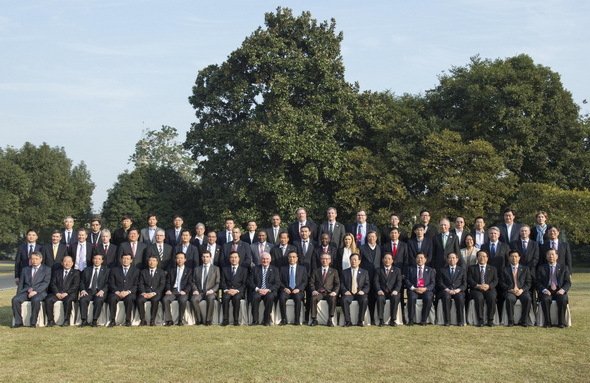 “The success of many services on the Internet from China such as the successful IPO of Alibaba accentuates the importance of China being a part in the global Internet ecosystem,” said Fadi Chehade, President and CEO of the Internet Corporation for Assigned Names and Numbers (ICANN) at the World Internet Conference in Wuzhen, a watertown in east China’s Zhejiang Province. “This conference proves that China is entering the world stage as an equal player to have an equal voice as everyone else to participate in governing one Internet for the world,” he said. In 2013, ICANN opened its first global engagement center in Beijing and launched Chinese character options for top-level domains, part of its efforts to meet the needs of China, which now has more than 600 million of Internet users. The CEO also hoped Alibaba would play a responsible role in world Internet governance. “I am very certain that China will have many more Jack Mas that could produce great value, not just for China but also for the world,” said Fadi, adding that in China he had seen an innovative spirit reminiscent of that of Silicon Valley. Jack Ma, founder of Alibaba group, described on Thursday how the company is exploring ways to help small businesses not only in China, but all around the world. The three-day First World Internet Conference opened on Wednesday in the scenic river town of Wuzhen with roughly 1,000 Internet professionals,from more than 100 countries and regions in attendance. It was in this beautiful setting that Ma said, “traditionally, all we think about is how to sell products to others and how to get money out of the pockets of consumers. In February, Alibaba launched Tmall International dealing mainly in commodities produced or sold in overseas markets and in September the company was the source of the world’s biggest initial public offering. Ma believes that in the global village, old trade modes will be transformed, and, within the WTO framework, the rules of game are set by the governments. The market is frequently at the mercy of international relations. The internet has made it possible for a business world built by the entrepreneurs themselves to evolve on the basis of the market economy and unencumbered by political squabbling. 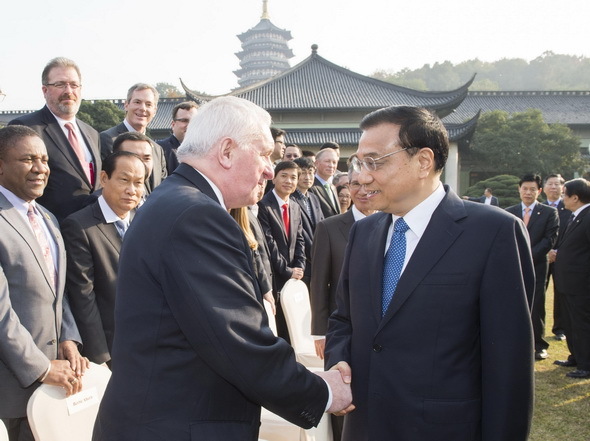 Internet Conference in Wuzhen, east China’s Zhejiang Province, on November 19, 2014. 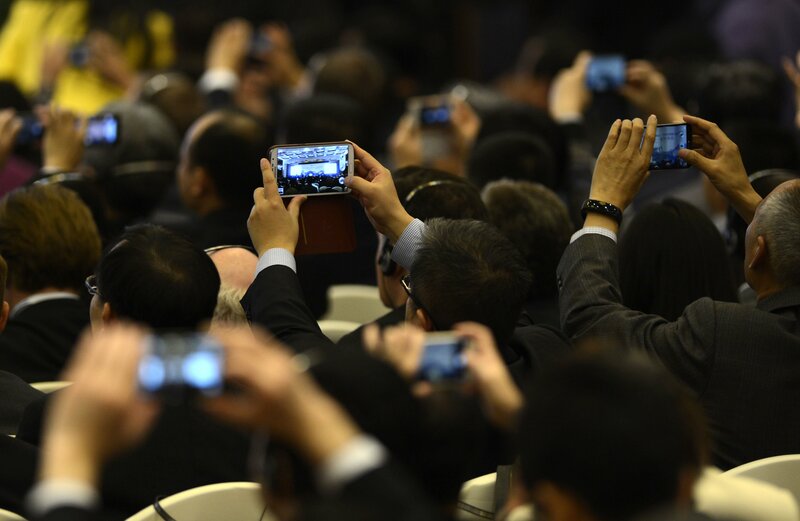 China held the First Internet Conference in the rivertown of Wuzhen, calling for global Internet interconnectivity and shared governance by all. Founders of China’s top three Internet companies Alibaba, Tencent and Baidu as well as executives from global giants including Apple, Amazon, Google and Facebook all joined the gala. Chinese President Xi Jinping sent a congratulatory note to the ceremony, hoping countries can jointly build a cyberspace of peace, security, openness and cooperation and an international Internet governance system of multilateralism, democracy and transparency. Xi urged better international cooperation, more respect for sovereignty on the Internet and for countries to uphold cyber security following the principle of mutual respect and mutual trust. Chinese Vice-Premier Ma Kai, who attended the opening ceremony, called for joint efforts of the international community to promote the interconnectivity of Internet infrastructure, prosperity of Internet economy, strengthen the sharing of Internet technologies and to ensure cyberspace safety. Ma added that Internet infrastructure will be one of the prioritized investment areas of the planned Asian Infrastructure Investment Bank and the Silk Road Fund. 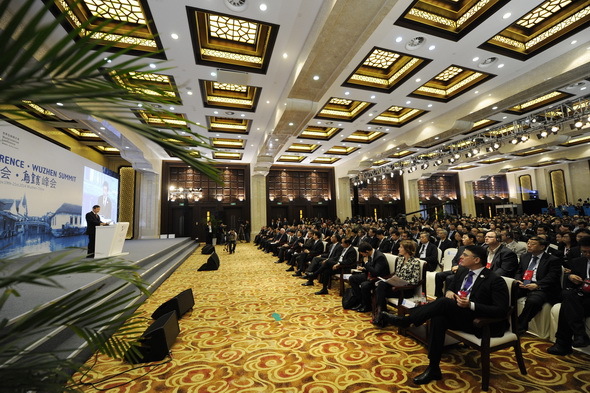 Lu Wei, minister of the Cyberspace Administration of China, hoped the attendees would make plans for Internet interconnectivity and shared governance as well as promote consensus and to make a historical contribution for the Internet. China has made tremendous progress in Internet development in the past decade with the most active Internet-based e-commerce in the world. Alibaba Group, the country’s e-commerce giant and the second largest Internet company in the world in market value, had daily sales of 57.1 billion yuan (9.28 billion U.S. dollars) on Nov. 11, the Singles’ Day shopping spree. Boasting 632 million Internet users, China is a lucrative market for all the Internet giants. Linkedin, the world’s largest business-oriented social network with more than 300 million users, has been used by many global Chinese enterprises, including Baidu and Tencent, to search for talents, said its founder Reid Hoffman in a speech at the conference on Wednesday. The company launched its Chinese language version in February. Meanwhile, Chinese companies are expanding overseas with their expertise in Internet infrastructure and commercial development. The backbone transmission network of Tanzania, which now has more than 7,560 kilometers throughout the country, was built by China and helped Tanzania become the Internet hub of east Africa, said Tanzanian Minister of Communication, Science and Technology Makame M. Mbarawa in an exclusive interview with Xinhua. “Chinese Internet has not only deeply changed all aspects of social life and economy in the country, it is also participating in the development of the global Internet, providing unique values for the world,” said Jack Ma, the Alibaba chairman. Ma added that the Internet provides not only opportunities for the mankind’s common development but also increases responsibilities. 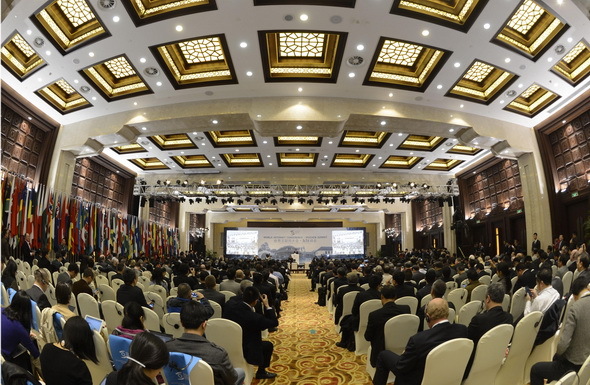 The three-day conference covers issues on new media, mobile Internet, cross-border e-commerce, cyber terrorism, Internet financing, cyberspace security and Internet governance. China is ready to work with other countries to deepen international cooperation, respect sovereignty on the Internet and uphold cyber security, said President Xi Jinping in a message of congratulations on Wednesday of November 19. Xi said in the congratulatory letter sent to the three-day First World Internet Conference opened in scenic Wuzhen, a historic water town in eastern Zhejiang Province, that China is actively advancing the development of the Internet and extending its benefit to the 1.3 billion Chinese people. Xi said that amid a new round of scientific and technological revolution with information technology at its core, the Internet is increasingly becoming a pacesetter of innovation-driven development, profoundly changing people’s ways of production and life and powering social development. It has turned the world into a global village and made the international community highly interdependent, with a common destiny, Xi said in the letter, read out by Vice Premier Ma Kai at the opening ceremony. Meanwhile, Xi said “the development of the Internet has posed new challenges to national sovereignty, security and development interests,” which requires the international community to meet urgently and seriously and pursue common governance and win-win outcome. 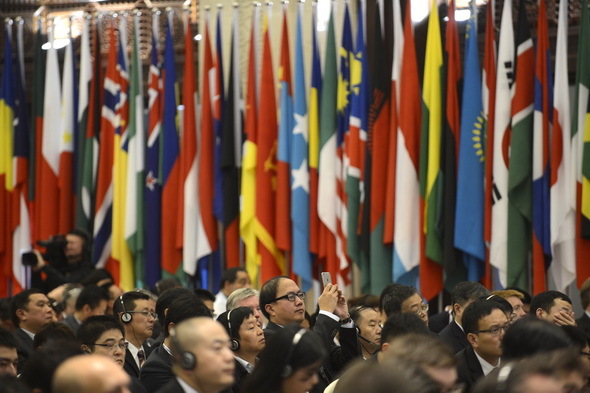 With “An Interconnected World Shared and Governed by All” as its theme, the World Internet Conference has reflected the major issues of cyberspace that the international community is focused on, he said. Xi also extended warm welcome to all participants, including government officials from various countries, heads of international institutions, experts, scholars and business people. He said he hoped that participants would contribute creative ideas, pool wisdom and build consensus, to ensure that the Internet will bring even greater benefit to mankind. The conference, jointly held by the Cyberspace Administration of China and the Zhejiang Provincial People’s Government, will cover topics including global Internet governance, mobile Internet, cross-border e-commerce, cyber security and terrorism. Attendees of the conference include Alibaba chairman Jack Ma, Tencent founder and chairman Pony Ma, Chinese search engine Baidu CEO Li Yanhong, Internet Corporation for Assigned Names and Numbers (ICANN) CEO Fadi Chehade and representatives from Qualcomm, Microsoft and Samsung, among more than 1,000 delegates from nearly 100 countries and regions. The event will be covered by nearly 500 reporters from China and abroad.